Senso Black Lense Dagger, Dao & Stiletto! Fill out the form below to get in touch with one of Senso’s departments.  They will be happy to provide you with further details on the product and how they can meet all your lighting needs. Fields marked by an asterix (*) are required. At SENSO, They believe in style as well as substance. Illumination is key, of course, but fixtures should look great even when they’re off. Our cutting-edge black lens provides a dramatic flair to any space—without sacrificing lighting ability and power. The black lens is designed for linear Dagger lights, along with its sister fixtures, the Dao and the Stiletto. When the light is off, the black lens has a matte finish that provides a striking, artistic effect, whether as high-contrast lines across your ceiling or an all-black array of suspended linear pendants. With such a rich black finish, you would never expect this lens to shine as brightly as standard white lenses. Flip the switch and marvel: available in the full spectrum of RGB colours, as well as white light, the black lens effortlessly transforms from chic darkness to full illumination.